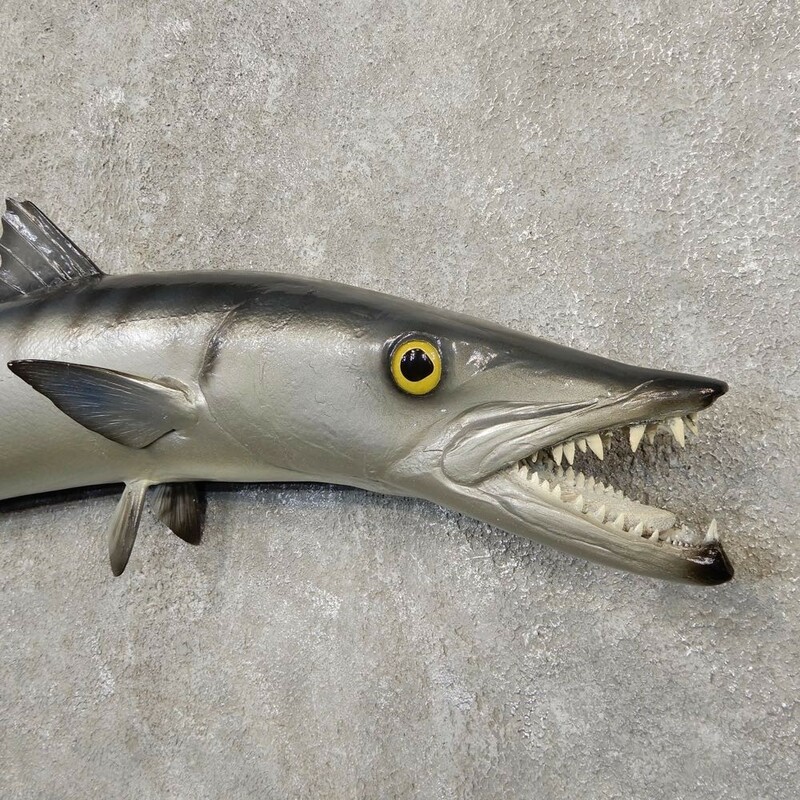 This is an incredible replica Barracuda fish mount, measuring 36” long, with a girth of 13” and an estimated live weight of just over 15 lbs. This is a reproduction mount, which typically contains no real animal parts. 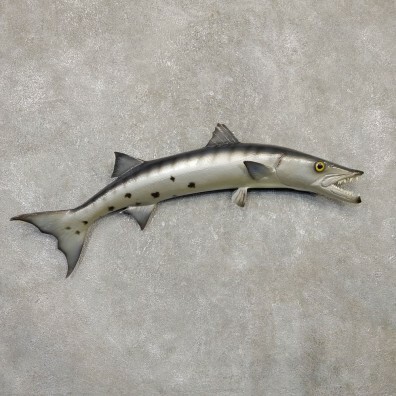 This mount is posed facing the viewer's right side in a swimming motion. 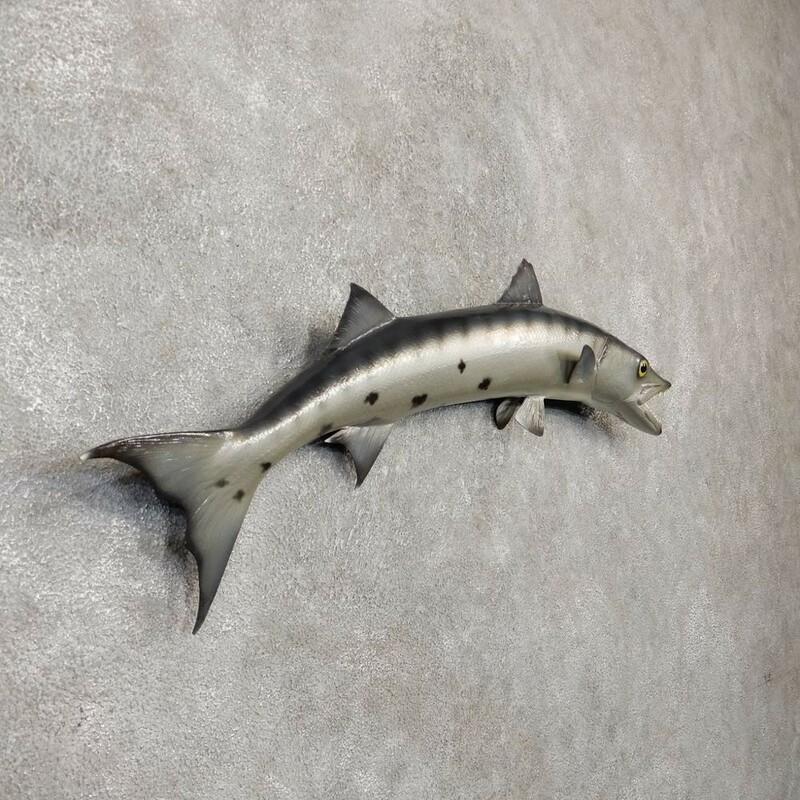 The fins are in great condition, the painting is outstanding, and taxidermy work is top notch. 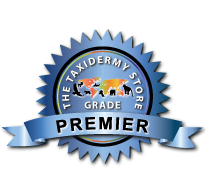 All of this combined has helped earn this item our coveted Premier™ overall quality rating. All applicable dimensions are included to help ensure this item will fit within your intended display space. 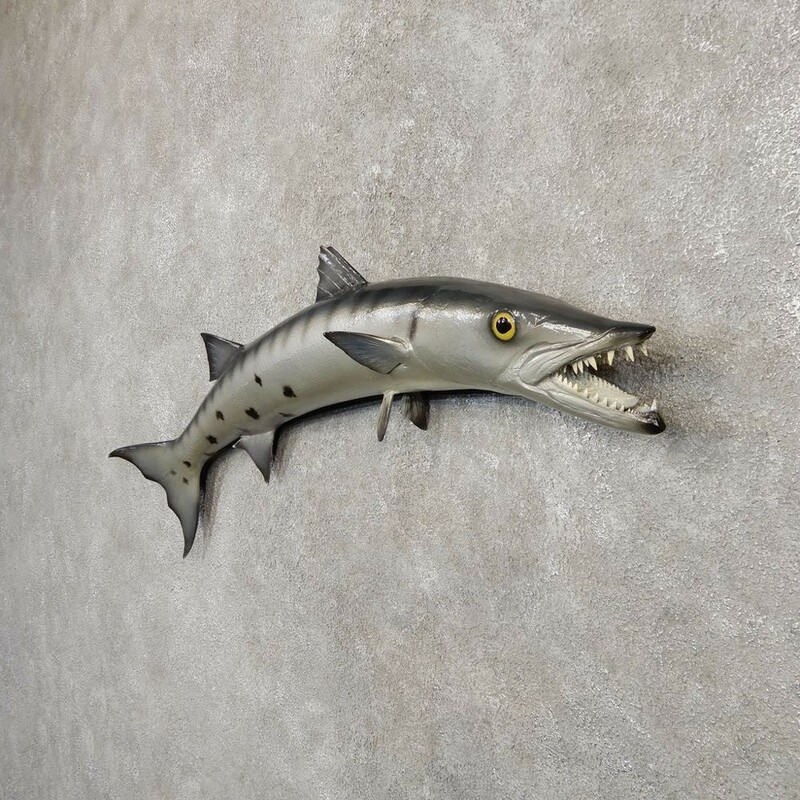 - This is a reproduction fish mount. 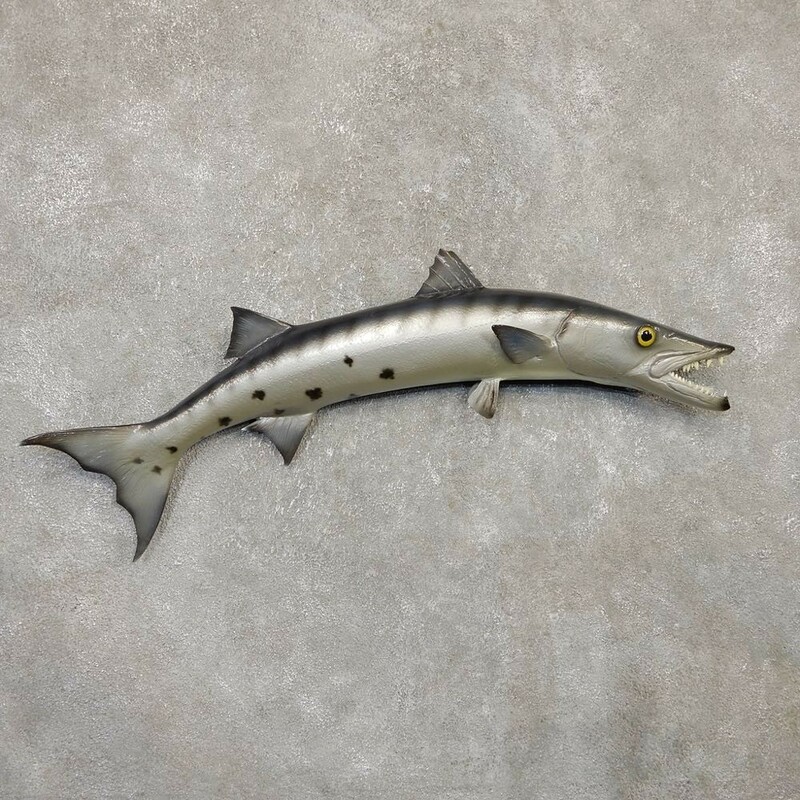 The Great Barracuda is found in tropical waters in all three of the earth's oceans. These fish inhabit the Indian, Pacific, and the Atlantic water bodies where they can be found in deep reefs at depths of nearly 360 feet below sea level. This a predatory species of fish that feeds exclusively on other fish using an act of surprise to make up for their slower movement speed. 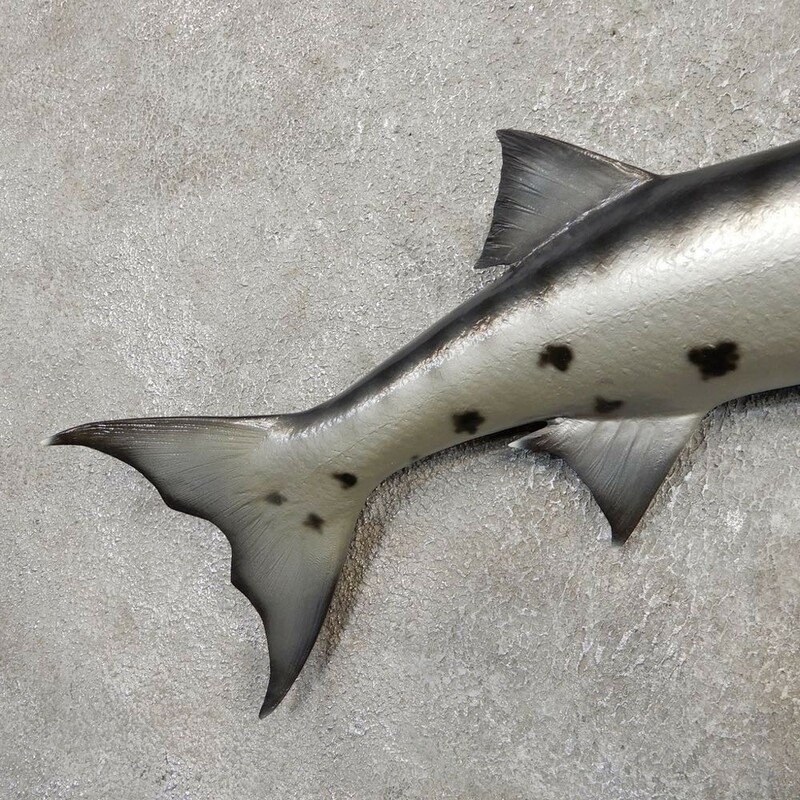 This fish has a blue-gray color on the dorsal side slowly fading to white on the underside which is a defense mechanism against larger predators looking up for prey. 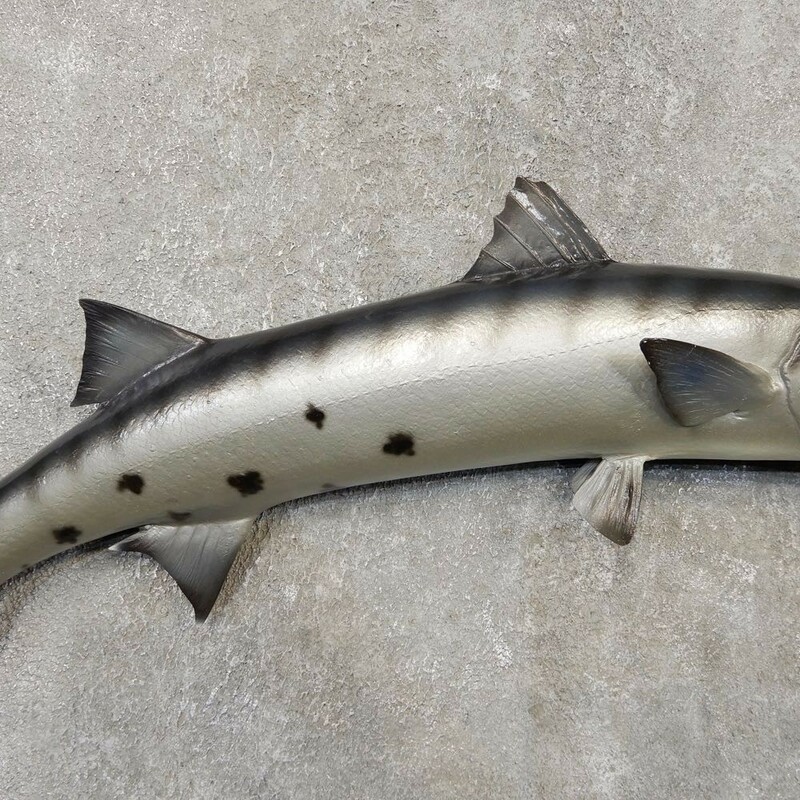 These fish can grow up to 5 feet in length and weight and average of 50 lbs. The largest of this species ever caught weighed a whopping 103 lbs and measured in at 5.6 feet.